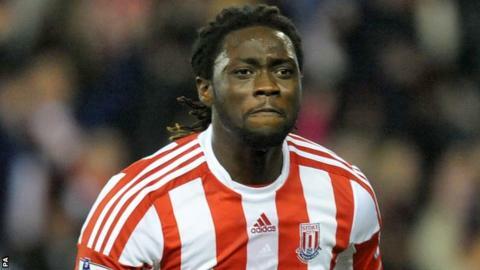 Stoke City boss Tony Pulis may allow Kenwyne Jones to leave the Britannia Stadium if they get the "right money". Reports have linked 28-year-old Jones, who has five goals in 19 games this season, with a move to fellow Premier League side Swansea. "If someone comes and offers the right money and Kenwyne is offered the right money then we'll sit down and talk about it," he told BBC Radio Stoke. "That has not happened yet - you have to deal with it [speculation]." Pulis bought Trinidad & Tobago international Jones to the Britannia Stadium for a then club record fee of £8m in August 2010. However, this season Jones has found himself behind former England international Peter Crouch in the pecking order, and he may be allowed to leave in order to get more first-team football. Pulis also reiterated his desire to bring in some new additions, but believes he needs to let some players leave before adding fresh faces. "We've got a few areas we need to strengthen - we tried to do it in the summer but couldn't," the 55-year-old Welshman added. "If we can move a few out, we'll certainly be looking to try to move a few in."